Although Twiffer congratulated me on the deal a couple of days ago, given the Mets' recent history I've been reluctant to post anything until the ink has dried on the pact. My caution seems to be in order; indeed, even if the contract gets signed, I should probably wait until Gomez, Humber, Mulvey and Guerra have passed their physicals. As any Mets fan knows, so many things can go wrong. Update: As the article linked above now shows, contract terms were finalized before the extended deadline. So now I need only fret about the outcome of physicals. Or whether Santana will slip and break his pitching arm between now and the start of the season. Or whatever. Here is Tim Marchman's analysis of the value of the deal to the Mets. Of course, I find the Billy Wagner quote scary. 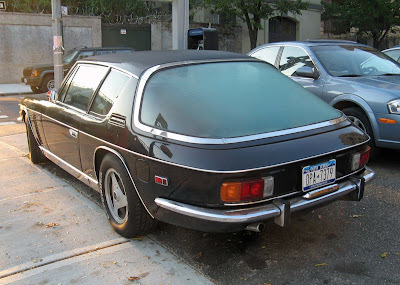 Never as well-known as the Aston-Martin, and lacking a James Bond connection (although it did serve Simon Templar in The Saint), the Jensen was nevertheless a strikingly handsome and agile British (for a time it was built in Scotland) grand touring car. 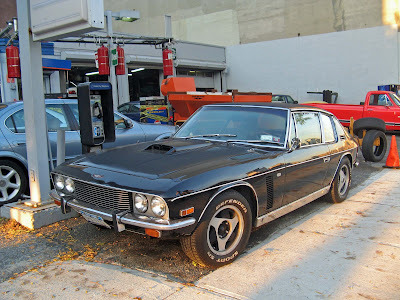 The Interceptor was powered by a Chrysler V-8, and some models featured an early adaptation of four-wheel drive to GT use.